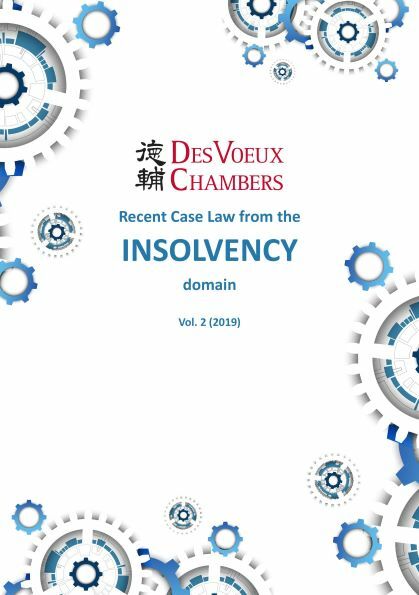 DVC houses a large number of specialists in company and insolvency law, with several of its members being co-authors of leading company law texts in Hong Kong. One of the current Companies Judges is a former member of DVC, and our members are frequent visitors to the Companies Court in both contentious and non-contentious matters, a recent example being the proceedings relating to the proposed privatisation of PCCW. Our members frequently appear in a wide spectrum of company disputes, including shareholders disputes, joint venture disputes, liquidation and winding up litigations. One of DVC's members stands out for being a "fantastic, first-class advocate with a lot of commercial common sense" and "a rare combination of flair, wit, incisiveness and fairness." Credited with possessing "best in class" client management skills, he was recommended for being a "go-to Silk for company insolvency matters." Another one DVC's members was singled out for his "in-depth knowledge of companies litigation and for being a tough opponent [able] to fight vigorously for clients."